Masri: Abbas's General Assembly speech "below expectations"
Noted Palestinian political analyst Hani al-Masri has criticized the speech of Palestinian president Mahmoud Abbas at the UN General Assembly on Wednesday and described it as "below expectations." "The president's speech did not drop a bombshell and was much less than expected," al-Masri said in remarks on his Facebook page. He expressed his belief that Abbas's speech contained "more cries for help than challenge and hope, and raised a considerable number of questions without providing any answer, vision or road map." "Threatening not to retain the status quo and abide by the agreements [with Israel] with no decision or plan, and without giving priority to the achievement of the national unity reflect that what has been tabled is practically a wait policy," he said. In his annual UN General Assembly speech on Wednesday, Palestinian president Mahmoud Abbas accused Israel of systematically violating the agreements with the Palestinians and threatened to renounce them, including the Oslo accords. The United Nations Secretary-General, Ban Ki-moon, on Wednesday called on Egypt and Israel to open all border-crossings and end the tough siege on Gaza in line with Security Council resolution 1860. Addressing the Ad Hoc Liaison Committee on the sidelines of the UN General Assembly in New York, the UN Chief said progress in blockaded Gaza can only see the day if the siege is lifted. “For Gaza to flourish, it will need to be able to trade with Israel, with the rest of Palestine and with the world,” Ki-moon said. “Lasting progress can be realized only through the implementation of Security Council Resolution 1860 in all its elements, building on a full calm and a lifting of the closure,” he added. “Energy and water are also needed desperately,” Ki-moon further stated. The UN resolution 1860 called for an immediate ceasefire in Gaza leading to a full Israeli withdrawal, unimpeded provision through Gaza crossings of food, fuel, and medication. “That is why bold and concrete actions are urgently required to stabilize the situation on the ground, improve the lives of Palestinians, and strengthen Palestinian unity,” he added. Hamas was reserved Wednesday over Palestinian president Mahmoud Abbas’s statement to the UN General Assembly, saying the credibility of his “emotional” speech is subject to its implementation on the ground. Hamas said in a statement Abbas’s speech was emotional and submissive and will be judged by how long it takes him to implement his commitment to end agreements with the Israeli occupation. 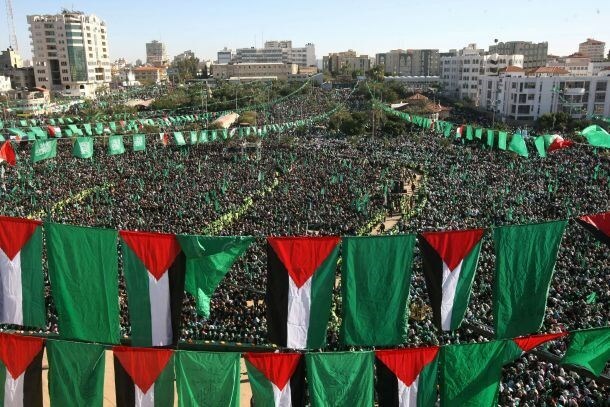 Hamas reiterated its firm rebuff of the notorious Oslo accord and the issuing concessions, calling for officially announcing its end and removing it from the history of the Palestinian people. “Abbas did not seek advice from anybody while formulating his speech, which addressed the whole world except his partners in the same homeland,” the statement read. 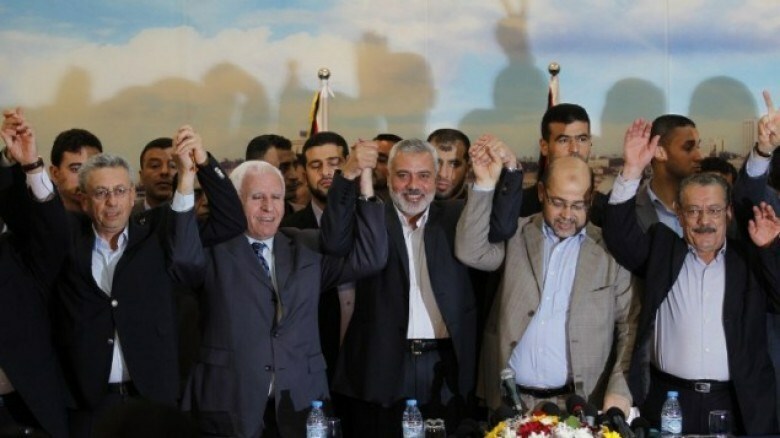 Hamas said that judging Abbas's remarks is subject to their implementation on the ground. The Movement said five steps will determine the credibility of Abbas’s position, first among which is to officially announce the end of Oslo and rescind recognition of Israel; second is to immediately cease security coordination and boost resistance in the occupied West Bank. The group further called on Abbas to stop political arrests, release all detainees, put the reconciliation accord into effect, hold a PLO leadership meeting, and work on lifting the siege on Gaza. Hamas also urged Abbas to bring the Israeli war criminals before the International Criminal Court. “We cannot continue to be bound by these signed agreements with Israel and Israel must assume fully all its responsibilities as an occupying power,” he added without specifying the nature of such responsibilities. Abbas’ speech at UN General Assembly is deceitful and encourages incitement and destruction in the Middle East, spokesman for Israeli Premier Benyamin Netanyahu Ofir Gendelman said late Wednesday. Gendelman called on Palestinian President Mahmoud Abbas to resume talks with Israel without preconditions. "The fact that the offer is refused more than once is the best possible proof that he is not looking for a peace agreement," Netanyahu's office said. Israel, while violations take place on a daily basis. Abbas delivered his address ahead of a ceremony to raise the Palestinian flag at the world body for the first time, alongside those of the UN's 193 member states. As widely predicted, the "Bombshell speech" Palestinian Authority (PA) Chairman Mahmoud Abbas delivered at the UN General Assembly on Wednesday was pointless. In general, the speech was a mere repetition of known platitudes about the decades-old Israeli occupation of the Palestinian homeland. As we all know, these platitudes have been voiced ad nauseam but without leading to any significant improvement on the ground, as Israel continued to kill and maim Palestinians and further narrow their horizon. Indeed, it is manifestly clear that the overall Palestinian situation is getting worse rather than getting better. In addition to describing Israeli crimes before UN delegates, Abbas said Palestine was a state under occupation. He appealed the international community to recognize Palestine as a state under occupation. A majority of UN member-states seem to have accepted Abbas's plea, allowing for the hoisting of the Palestinian flag at the UN garden to the chagrin of Israel, its guardian ally, the United States, as well as Canada and Australia. A number of European countries, including Britain and Germany, abstained, reflecting deep Zionist influence on their governments. The symbolic victory is important but its practical significance should not be overestimated. After all, the Palestinian people have been quite fed up with symbolic "victories" that utterly failed to lift up our people or rein in Israeli insolence let alone stop, or even mitigate, the nearly daily atrocities committed by government-backed Jewish terrorists as well as Israeli security forces against innocent Palestinians. To conclude, Abbas's speech may have achieved some short-lived media repercussions but will utterly make freedom from the Israeli occupation any closer. On the contrary, it might even increase frustration among our people. What should Abbas have said? I am in no opposition to put words into Abbas's mouth. However, in light of the absence of any modicum of good will to achieve peace on Israel's part, Abbas should have announced the dismantlement of the PA itself since the PA, which was supposed to be the first step toward Palestinian statehood and independence, has become one of the biggest obstacles impeding true statehood and independence. Abbas did admit that his Ramallah regime had no real authority. Abbas should also have declared the termination of the Oslo Accords if only because Israel has never carried out its commitments as stipulated in the Oslo Accords. In the final analysis, there is no logic and there is no dignity in continuing to honor agreements and accords that the other side, the occupier of our land and tormentor of our people, refuses to honor. The urge to dislodge from these agreements becomes even more urgent considering the utter injustice and harm incurred by the Palestinians and their enduring just cause as a result of these hapless agreements. Indeed, Abbas should have been more honest, first with his own people and second with the international community, by pointing out that the Oslo Accords won't lead to peace. Finally, the PA leader should have made it abundantly clear to the world body that a just peace of the Palestinian-Israeli conflict was no longer possible since Israel has killed any remaining prospect for a genuine just peace. A casual observer of Abbas's fans and supporters reactions to his New York speech would get the impression that the PA Chairman had just delivered a victory speech marking the end of the Israeli occupation of the Palestinian homeland. But Abbas's speech was a no- victory speech. It was rather a boring repetition of the same old tired statements long repeated by a defeated leadership that refuses to be honest with its own people and prefers to appease the enemy even at the expense of the Palestinian people and their just cause. More to the point, it is difficult to imagine the mental sanity level of those celebrating Abbas's speech at the very time when messianic Jewish gangs are defiling and desecrating al-Aqsa Mosque and when Jewish settlers burn Palestinian children alive. I don't know if Abbas will repeat the same speech at the UN at this time next year. However, It is highly certain that the overall Palestinian situation will continue to exacerbate as long as Abbas and the hangers-on around him continue to mistake the desert mirage for water and fiction for reality. In his Wednesday speech at the United Nations General Assembly in New York, Palestinian President Mahmoud Abbas said the Palestinian Authority cannot remain committed to peace accords signed with Israel as long as the Israeli government continues to violate the agreements and continues escalating attacks against the Palestinians. Abbas stated that Israel insists on violating all signed peace agreements by refusing to stop its illegal construction and expansion of its colonies, in direct violation of International Law, in addition to refusing to release the Palestinian detainees, and refusing to end its daily invasions and assaults. The president added that those who claim to seek a two-state solution must recognize the two states, and not just one. The Palestinian president further stated that Israel continuously expands its military escalation and excessive use of force, in addition to resuming its illegal construction and expansion of Jewish colonies in occupied East Jerusalem and the West Bank, and continuing its siege on Gaza. “We, therefore, declare that we continue to be bound by these agreements and that Israel must assume all of its responsibilities as an occupying Power, because the status quo cannot continue and the decisions of the Palestinian Central Council last March are specific and binding." In addition, Abbas welcomed the European efforts to reach a comprehensive settlement to the conflict in the region, especially the French Initiative, and affirmed that the State of Palestine will continue its global efforts to join treaties and international organizations, and will continue to defend its people through all available legal and peaceful means. Commenting on the internal situation, Abbas said the Palestinian leadership would continue to seek unity, and geographical contiguity, and added that the Palestinians will not accept partial solutions. By Dr. Saeb Erekat, Secretary General of the Palestine Liberation Organisation. the international community, has for decades tried to negate the existence of the Palestinian people. First, for them Palestine was a “land without a people for a people without a land,” and several policies were implemented in order to displace Palestinian villagers. The CCIA of the World Council of Churches would like to express its deep concern on the building of the Israeli annexation and separation wall in the Cremisan valley, near Bethlehem, in occupied Palestine. As a priest of the Latin Patriarchate in Jerusalem, and having been myself following the Cremisan case for many years, I’m here to alert the international community to the latest developments in the Cremisan area in Beit Jala, upper Bethlehem, which we consider almost as the last nail in Bethlehem’s coffin, condemning Palestinian Christians to being out of place in their own country. In the last 6 weeks, Israeli forces have been uprooting hundreds of olive trees in the area, one of the last green areas in Bethlehem, very crucial for the survival of thousands of people. I call on you to remember the situation of Christians in Palestine, the birthplace of Christianity. Are you going to allow Bethlehem to die? Mr. President, Israel is attempting to change the Palestinian identity of our occupied country. So far, the international community has failed to take any concrete actions to stop this and, furthermore, the countries that consider Israel as a “Jewish State”, are complicit in fuelling extremism; the most recent example is the silence of the international community on Israel’s continued attacks against religious sites, in particular the Al-Aqsa Mosque Compound in Occupied East Jerusalem. What we need in our region are democratic states with equal rights for all their citizens and not exclusive Jewish or Muslim states. I call upon all of you to take meaningful action in order to stop the Israeli strangulation of Bethlehem. The Wall in Cremisan must be stopped. But most importantly, a just and lasting peace must be achieved by respecting the rules and principles of international law. a. to immediately stop building the Wall in Cremisan. 2. The Human Rights Council and the international community to take effective measures to make sure the government of Israel is held accountable for the grave violations of international law, including forced displacement of population. Hamas Movement called on PA Chairman Mahmoud Abbas to declare in his speech at the UN General Assembly the cancellation of agreements signed with Israel and to stop security coordination between Israeli and PA forces. "There is no need for high-sounding speeches", said spokesman for the Movement Sami Abu Zuhri in a press release, adding that the current stage is "fateful" and should be dealt with accordingly. Abbas is scheduled to deliver a speech on Wednesday at the UN General Assembly session in New York. US President Barack Obama declared during his speech at the UN General Assembly in New York his country's readiness to cooperate with Russia and Iran to solve Syria crisis. However, he ignored to address the Palestinian cause. The Palestinian Authority slammed Obama for neglecting the Palestinian issue in his speech at the UN on Monday. "Nowhere is our commitment to international order more tested than in Syria. When a dictator slaughters tens of thousands of his own people, that is not just a matter of one nation’s internal affairs — it breeds human suffering on an order of magnitude that affects us all". Likewise, when a terrorist group beheads captives, slaughters the innocent and enslaves women, that’s not a single nation’s national security problem — that is an assault on all humanity, he said in reference to ISIS. The United States, according to him, has worked with many nations in this Assembly to prevent a third world war — by forging alliances with old adversaries; by supporting the steady emergence of strong democracies accountable to their people instead of any foreign power; and by building an international system that imposes a cost on those who choose conflict over cooperation, an order that recognizes the dignity and equal worth of all people. However, US president failed to mention the Palestinian cause in his speech at the UN General Assembly. PLO Secretary-General Saeb Erekat expressed disappointment in US president Barack Obama for neglecting the Palestinian cause in his UN speech. “Does President Obama believe he can defeat ISIS and terrorism, or achieve security and stability in the Middle East, by ignoring the continued Israeli occupation, settlement expansion, and the continued attacks on al-Aqsa Mosque?” he said. The Emir of Qatar Sheikh Tamim bin Hamad al-Thani held the international community partly responsible for the terrorism perpetrated by the Israeli occupation in Occupied Jerusalem, pushing for urgently ceasing aggressions an al-Aqsa and lifting the siege on Gaza. Addressing the opening meeting of the 70th session of the General Assembly at the UN headquarters in New York, the Emir said that persistent violations of al-Aqsa Mosque’s sanctity showed the absence of Israel’s will for peace. He also said that ultra-orthodox fundamentalist and nationalist elements had taken control of Israeli policy. “Isn’t this tantamount to religious fundamentalism? Isn’t this violence an act of terrorism carried out by radical religious forces?” he wondered. The Emir reiterated, in a message to the international community, that ongoing failure to find a permanent and just solution for the Palestinian cause is a scar on the face of mankind. “We are providing aid to Gaza Strip until the end of implementing our commitment, but we wonder: What happened to the (Gaza reconstruction) conference and its decisions,” asked the Emir. “The international community, represented by the Security Council, must assume its responsibilities, by taking a firm stance forcing Israel to comply with deliverables of peace, namely, halting of all forms of settlement activity in the occupied Palestinian territories, lifting the unjust siege on the Gaza Strip and to be committed to implementing the resolutions of the international legitimacy that recognize the Palestinian people’s right to regain their legitimate national rights, and establish an independent Palestinian State according to 1967- borders,” the Emir further stated. Islamic Jihad leader Khaled al-Batesh called on Palestinian President Mahmoud Abbas to declare the end of Oslo Accords and to work on reforming the Palestinian internal relations. In a statement posted on his Facebook page on Tuesday, Batesh called on Abbas to bear his responsibility for the Palestinian struggle which has been ongoing for tens of decades. This came in the eve of Abbas’s expected speech at the United Nations on Wednesday, on which Abbas said “it will be a bomb”. Batesh said, “The only way to confront the Israeli offensive practices against the Aqsa Mosque and the attempts of dividing the holy site temporally and spatially is to regain unity and to enhance national partnership as well as to unify the Palestinian political path to win the unanimous support of the Arab and Muslim nations. The Islamic Jihad leader urged Abbas not to surrender to external pressure to return back to negotiations which, he opined, will allow Israel to implement its plans of dividing the Aqsa Mosque and continuing construction of settlements. President of the Supreme Islamic Council and preacher of the Aqsa Mosque, Sheikh Ekrima Sabri slammed the Palestinian Authority (PA) for its failure to defend the holy site. “The PA is not doing anything in Occupied Jerusalem because it shackled itself by the Oslo Accords”, he said. “Storming the Aqsa Mosque on Monday aims at imposing the temporal division between Muslims and Jews. Assigning Sunday for Muslims and Monday for Jews is not accepted and aims at implementing the temporal division scheme which made dozens of Muslims stage a permanent sit-in at the Mosque and confront the settlers’ incursions into the Mosque,” he added. Sheikh Sabri urged the Arabs and Muslims as well as free men of the world to work on halting the Israeli plans of imposing temporal division at the Aqsa Mosque. I don't know for sure what Palestinian Authority (PA) Chairman Mahmoud Abbas will say in his much-heralded speech at the UN General Assembly later this week. This is not because Abbas is unpredictable or enigmatic. He is neither. But while one can't be quite certain about the contents of Abbas's speech, a careful observer of Abbas's behavior since he succeeded Yasser Arafat more than ten years ago, can be sure of what the speech won't contain. Abbas will not declare the end of the scandalous Oslo peace process, not because the disastrous scheme is beneficial or expedient for the Palestinian people and their enduring just cause, but rather because the chains of the Oslo Process have long crippled the PA, making Abbas utterly unable, even if willing, to dislodge himself and his powerless, un-sovereign authority from the Oslo trap. In fact, a unilateral termination of the Oslo Process, de jure or de facto, by the PLO would be a sort of suicide for the Ramallah leadership. In the final analysis, the PLO-PA entity has so integrated itself into the system that bolting out of it is unthinkable. Similarly, Abbas won't announce the end of the treacherous pact with Israel, known as "security coordination." The term is in fact inaccurate because the security coordination is unilateral, first and foremost, as Israel doesn't carry out the same responsibilities and tasks carried out to the letter the PA carries. Indeed, the security coordination between the Israeli occupation army and the PA security agencies very much resembles the working relations between a master and his slave. Besides, we all know that serving Israeli security whims by the estimated 70,000 PA security personnel , which also includes repressing, tormenting and savaging Palestinian citizens on Israel's behalf, constitutes the ultimate raison d'être for the PA as far as Israel is concerned. This is why Abbas won't even allude to this subject, knowing too well it would mean a definitive suicide for the PA. Furthermore, Abbas is unlikely to announce the dismantlement of the PA as such a step would cost Abbas too much in terms of political support, especially the tens of thousands of operatives and civil servants and their families who will abruptly lose their income which might cause a real implosion within the Palestinian society, one with unpredictable direct and indirect ramifications. As part of these ramifications, the Palestinian banking system would also collapse as a result of the inability of PA employees and civil servants to pay off their loans and debt, worth several billions of dollars. The most audacious scenario expected from Abbas at the UN will be a declaration that Palestine is a state under foreign occupation. Abbas probably hopes that such a feat would be backed by a sufficient number of member-states of the UN, which would create a certain international momentum, pressuring Israel to come to terms with Palestinian rights. But Abbas's hopes are actually a futile exercise in wishful thinking, very much like the Declaration of Independence of 1988 and other similar PR schemes that did virtually nothing to advance the Palestinian cause. Abbas and his PA apparatuses are focusing their efforts on making symbolic accomplishments, such as joining some UN agencies, precisely because they have been utterly unable to make real, concrete achievements on the ground. Hence, declaring Palestine a state under foreign occupation would be another symbolic achievement even if we gave Abbas the benefit of the doubt. But in this case, another symbolic but useless achievement would deepen the Palestinian people's frustration and embolden Israel to continue its Nazi-like efforts toward the liquidation of the Palestinian people. A few days ago, a right-wing Israeli commentator wondered why Israel doesn't imitate President Bashar el-Assad in ethnically cleansing millions of Sunni Muslims of his people by forcing them to seek a new life in Europe. "The world is watching rather passively as Bashar Assad is expelling millions of Syrians across the globe. Why can't Israel do the same by expelling a few million Palestinians?" Finally, it is really mind-boggling why Abbas is continuing with his manifestly futile approach? Does he count on Russia which is giving Assad the means to exterminate the Syrian people? Does he count on Britain which created Israel in Palestine in the first place? Does he count on the US, Israel's guardian-ally, which the late Palestinian historian Walid Khalidi called "the ultimate tormentor of the Palestinian people." Or perhaps he might be counting on the blood-drenched ruling Junta in Cairo, which has murdered more Egyptians in cold blood than Israel did in four wars with Egypt. You have already passed the age of eighty. At such age, a man needs to do a lot of reflection and soul-searching. Hence, instead of flying all the way to New York, I suggest you go to the TV building in Ramallah to address the Palestinian people and tell them that the time has arrived for your retirement. Khalid Amayreh is a Palestinian journalist and current affairs commentator living in occupied Palestine. Egypt’s president Abdel Fattah al-Sissi on Saturday claimed the flooding of borders with Gaza by Egyptian army forces was carried out in coordination with the Palestinian Authority (PA). “The measures taken by Egypt to secure its eastern borders are in full coordination with the Palestinian Authority and cannot have the aim of harming our Palestinian brothers in the Gaza Strip,” al-Sissi was quoted as claiming in a statement released by his office. The measures seek to protect the Egyptian borders and maintain Egyptian and Palestinian national security,” he further alleged. The Egyptian president reportedly made the comments during a meeting with PA President Mahmoud Abbas in New York, where they are attending the United Nations General Assembly. In what observers branded an unprecedented move set to please the Israeli occupation, the Egyptian army forces have begun to pump water from the Mediterranean Sea into underground tunnels on the southern borders of the besieged Gaza Strip. Blockaded by the Israeli regime since 2007, Gaza used to receive urgently-needed supplies through the network of underground tunnels on its border with Egypt's Sinai Peninsula. Palestinians in Gaza are living under inhuman conditions due to the tough siege imposed by the Israeli occupation and also due to al-Sissi’s quasi-permanent closure of the Rafah border-crossing. Egypt began creating a wide buffer zone along the Gaza border in late 2014 in a bid to destroy the hundreds of tunnels used by Palestinians in the besieged coastal enclave. Islamic Resistance Movement, Hamas, said Egyptian President Abdel Fattah al-Sissi’s statements on full coordination with the Palestinian Authority (PA) in the measures taken by Egypt to secure its eastern borders prove the conspiracy led by Palestinian President Mahmoud Abbas against Gaza Strip. In a press statement on Sunday, Hamas spokesman Sami Abu Zuhri said Egyptian President Abdel Fattah al-Sissi’s statements, stating that the flooding of borders with Gaza by Egyptian army forces was carried out in full coordination with the Palestinian Authority, constitute a clear proof of PA’s conspiracy led by Abbas against Gaza. Hamas called for “taking a national position against Abbas’s practices which brought in disasters into Gaza”. The Egyptian president reportedly made the comments during a meeting with Abbas in New York, where they were attending the United Nations General Assembly. Sissi asserted that border crossings with Gaza will not be opened unless they are taken over by the PA, which raises questions about the vision of Egypt and the PA in dealing with the Strip in the coming days. 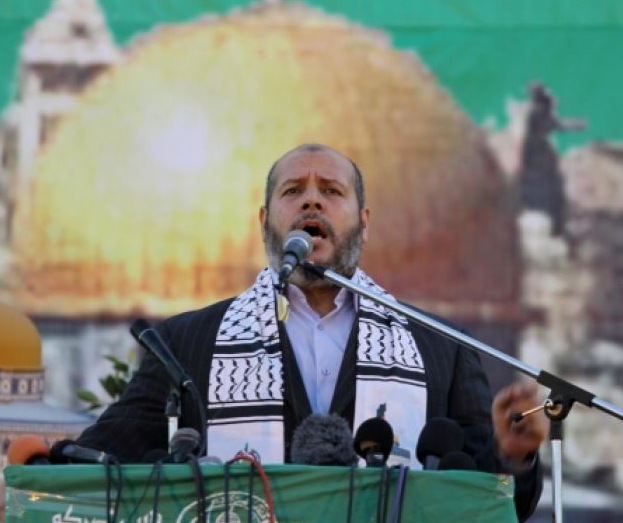 Palestinians are required more than ever to combine forces and back up resistance against the Israeli occupation, political bureau member of Hamas Khalil al-Hayya said Thursday. Addressing the Muslim congregation during the Khutba (sermon) of Eid al-Adha in central Gaza, Hayya said the Palestinian people should join forces and stand up for the holy al-Aqsa Mosque. He slammed the Palestinian Authority (PA) for monopolizing the act of decision-making. “A bench of oppressors has been tightening grip around our people’s neck not only in Gaza and the holy al-Aqsa but also everywhere around the globe,” he said. “What on earth could be more oppressive than desecrating our holy al-Aqsa, attacking the peaceful Muslim sit-inners, killing our children, and abusing our freedom of worship?” Hayya wondered. “Why has Gaza been denied the right to medicines, water, and electricity? What have been its flora and water ruined for?” he added. Commenting on the prisoners’ issue, Hayya said their cause will remain at the heart of Hamas’ and Palestinians’ main concerns, vowing that the resistance factions will do whatever it takes to restore their freedom. Al-Qassam Brigades, Hamas’s armed wing, denied in a statement issued Friday the media allegations broadcasted by Sahem media network that promotes Israeli lies and fabrications about its leaders. Sahem media network has first launched an incitement campaign against the leader Abu Mohamed al-Jaabari to start once again a similar campaign against the leader Abu Radwan Dababesh, the statement reads. The statement strongly denied the allegations and fabricated lies made by Sahem media network, saying that all those responsible for this incitement campaign will be held accountable. Egypt agreed to hold the meeting of the PLO temporary leadership framework which is to be attended by Hamas and Islamic Jihad leaders. This followed long discussions with Palestinian officials including Palestinian President Mahmoud Abbas and Hamas senior official Mousa Abu Marzouk. Calls between Abbas and Khaled Mishaal, head of Hamas political bureau, have been made over the past few weeks for holding the meeting which was postponed as Hamas and Islamic Jihad were not participating. Sources revealed that the meeting, which was described as very significant and urgent, is to be held after the Eid in Cairo. In the event that the meeting is held, Khalid Mishaal will be visiting Cairo for the first time after Egyptian president Mohammed Morsi had been ousted. Within this framework, Fatah leader Azzam al-Ahmad is expected to meet with Hamas leader Abu Marzouk in the capital of Lebanon, Beirut soon.